Try SleepDrops for Babies, it’s specially formulated for newborns and children (toddlers) up to 3 years old. How Can SleepDrops for Babies Help? As parents, it can be difficult to work out what is distressing your child. SleepDrops for Babies is a unique product which has been specially formulated to support normal body response to the reasons your little one may not be sleeping. We know you want your child to be calm and happy… and most importantly to sleep well. Happy babies and toddlers are the joy of our lives and good sleep is the very foundation of this. We also understand how important this is for busy parents so you can get the rest you need yourself. SleepDrops for Babies are a completely natural sleep formula to support normal sleep patterns in your little one. The drops are non-habit forming, non-toxic and are a gentle way to help soothe a distressed infant and re-establish calm or settle toddlers when they are overexcited. SleepDrops for Babies have additional support for children between newborns and toddlers with a special blend of herbs and homeopathics to support normal response to low-grade allergies, support normal response to digestive and nervous system health and support normal teeth and gum health. These are common reasons why children of these first 3 years in life experience sleeping challenges. Simply put a few drops of this natural, liquid formula under your child’s tongue. It has a pleasant, sweet taste and most children absolutely love them! As we can’t actually have a conversation and ask your baby why they are not sleeping we can’t offer a guarantee on our children’s remedies but our team of sleep specialists are also parents and professionals so work with us and we will do our best to support your baby to sleep naturally. Please contact us after ONE week if you are not seeing results. Each 30ml bottle contains 600 drops. At 1 drop per dose that’s 600 doses in each bottle which will give you many months of blissful sleep. And at only $39.90 per bottle, that’s excellent value for money! What Results And Benefits Can I Expect? We know as parents you will want to ensure that you are giving your infant is safe, natural and easy to take. You can give your child ‘SleepDrops for Babies’ with total confidence, knowing that you are giving them a completely natural formula made by a team of Herbalists, Naturopaths, Homeopaths, and Doctors. Our chief formulator and Naturopath, Kirsten Taylor, has been successfully getting infants to sleep using ‘SleeDrops for Babies’ in her private clinic for over seven years. Sometimes the proteins in the mother’s breast milk, or in baby’s formula, can cause an allergic response and increase histamine levels. Histamine is an excitatory chemical that can cause increased alertness, a sore tummy, gas – and other common digestive complaints – which can make your little one’s nervous system fractious and emotional. ‘SleepDrops for Babies’ contains herbs which support normal response to allergies in the body. 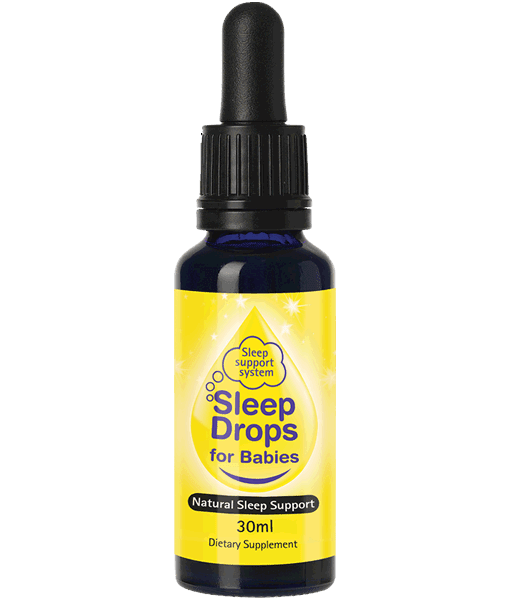 ‘SleepDrops for Babies’ contains eight scientifically researched herbals to support normal response to sleeping challenges. Along with two herbal remedies to support normal body response for a healthy immune system and support normal body response to low-grade allergies. Homeopathic sleep remedies support normal sleep patterns and support normal body response to teething for your infant, support normal body response to calm down an upset tummy, while a blend of flower essences support normal body response to calm an overactive mind and will support your child relax, settle and sleep. ‘SleepDrops for Babies’ are a perfectly palatable liquid formula that you simply put under your infant’s tongue using the dropper provided with the bottle. They are in a base of glycerine, purified water, and ethanol. It’s the glycerine that gives the sweet taste. The amount of ethanol is so low, the amount of alcohol present in each dose would be less than that naturally occurring in a piece of bread! We recommend using ‘SleepDrops for Babies’ under the tongue, but you can also pop them into your child’s milk, juice, water or any other drink and they won’t be able to taste them. However under the tongue is the most effective way to use them. Suitable for newborns to 3-year-olds. Organic Coconut Glycerine, purified water, ethanol, Corydalis ambigua (Corydalis), Eschscholzia californica (Californian poppy), Humulus lupus (Hops), Lavandula officinalis (Lavender), Matricaria recutita (Chamomile), Passiflora incarnate (Passionflower), Piper methysticum (Kava), Scutellaria baicalensis (Baical Skullcap), Albizia lebbeck (Albizia), Viburnum opulus, (Cramp bark) Zizyphus jujuba (Zyziphus) with Homeopathic Calc phos, Chamomilla, Colocynthis, Kreosotum, Mag phos, combined with flower essences. Each product is supported with an information booklet and a protocol sheet so you can easily understand how best to use our products for results – quickly. This product is recommended for use for newborn to toddlers to support normal body response for sleep challenges or whose parents or caregivers believe they would benefit from support for normal body response to sleeplessness, supporting normal body response to waking. 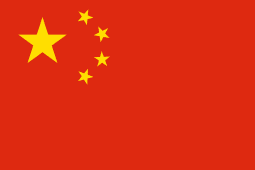 General directions for use: Drops are put under the tongue, or close to the tongue and lips, inside the mouth. 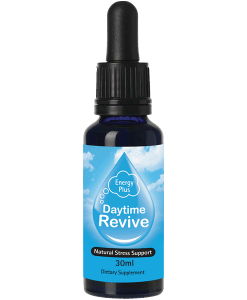 To support normal sleep, administer 1-2 drops when your baby goes down. Babies can also have 1 drop to re-establish calm. If they wake during the night, your baby can be given another drop each 5 to 10 minutes of awake time until sleep is restored. Remember, our team is available to discuss your infant’s individual needs on 0800 345 999 during office hours. And if your child is not sleeping within one week of starting the programme, please call us for support. The 30ml bottle contains 600 drops – that’s up to 600 doses – which means GREAT VALUE! Infants sensitive or allergic to any of the ingredients should avoid this product.